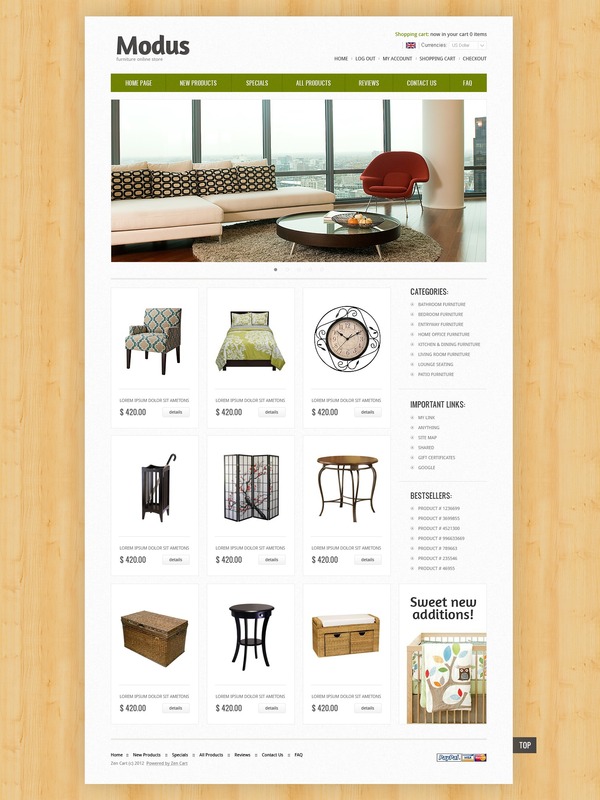 Wooden texture in the background of this template completely suits the furniture theme. Stylish interiors in a slideshow make the user understand that they deal with professional of the highest rate. Items in content area have hover effect. Sidebar contains widgets and an appealing banner.